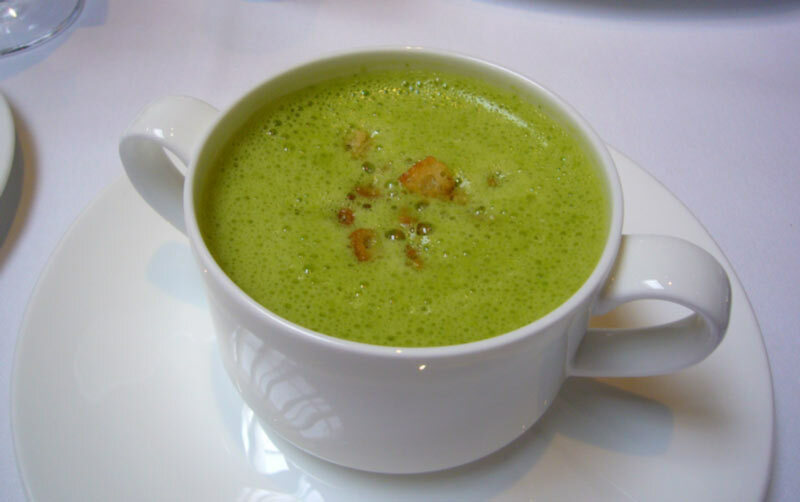 Cream of asparagus soup is a good source of potassium, vitamins A and C, iron, folic acid, magnesium and selenium. In a large pot place potatoes, asparagus, onions, celery and water. When a boil, reduce heat, cover and simmer for about 15 minutes. Stir in the butter. In a small bowl, mix the flour and milk. Pour the mixture slowly into the pot of soup, stirring constantly. Increase heat and continue to stir until the broth thickens, around 5 minutes. Remove from the heat. Add the lemon zest and pepper for taste.